A favourite Omani recipe, shuwa (or 'chauwa') is a dish of slow-cooked marinated lamb or goat. The meat is coated in a flavourful rub of spices, garlic and oil, although exact recipes and spices used vary from region to region and are influenced at varying degrees by Asian, African and European cuisines. 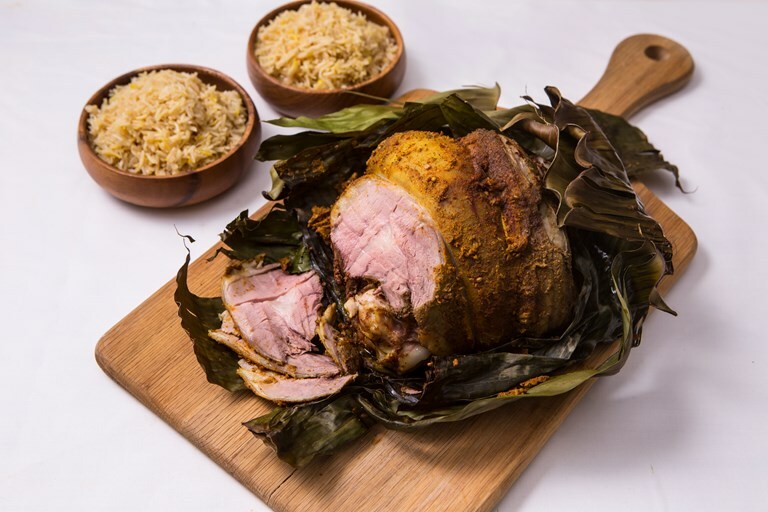 While shuwa is traditionally cooked wrapped in banana leaves and buried in a pit of hot coals to cook for anything from 6 hours to 2 days, Greg Malouf's recipe is suitable for cooking in the oven so is a great way to try this fantastic roast lamb recipe at home.